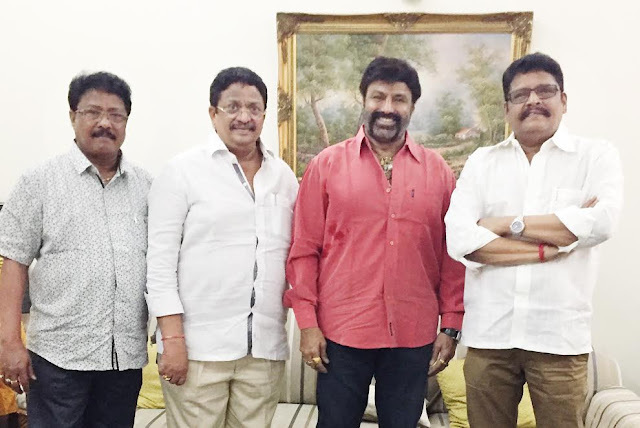 Natasimha Nandamuri Balakrishna's next is a big budgeted in K.S Ravi Kumar's Direction Produced by C.Kalyan under his banner C.K Entertainments Pvt Ltd. After Historical Success of Gautamiputra Satakarni recently Natasimha Nandamuri Balakrishna is doing his 102nd film for the first time in K.S Ravi Kumar's Direction who delivered a super hit like 'Narasimha' with Rajinikanth. Producer C.Kalyan says, " We are Produced this big budgeted film with Natasimha Nandamuri Balakrishna as Hero with 'Narasimha' Director K.S. Ravi Kumar. M.Ratnam is providing terrific Story, Dialogues for the film. This will be another sensational film in Balayya's career. We will start the film in the last week of June. Regular shoot of the film will start from July 10th. We will reveal further details about Star studded cast very soon. Natasimha Nandamuri Balakrishna recently gave a Historical Success with 'Gautamiputra Satakarni'. Director K.S Ravi Kumar gave a sensational hit with Rajinikanth. For the first time these two are working together. C.K Entertainments Pvt Ltd is Producing this Prestigious Project."